New York: Named after a wall that once ran across Manhattan in the early 17th century, Wall Street and the rest of the Financial District of Lower Manhattan is now enjoying a makeover as New York’s most attractive residential areas. Having already survived terrorist attacks and financial panics, Wall Street (that houses the New York Stock Exchange) remains a crucible of New York’s history. Now, regeneration efforts that started in the area post the 2001 World Trade Center attacks have not just made it a truly pedestrian-friendly enclave, but sparked off a massive mixed-use and residential building boom in the area. Many of these have been conversions of financial institutions and office buildings that have already migrated to Uptown, Midtown and even Hudson Yards. The migration was the catalyst for massive government and private sector investment in the area (more than US$30 billion over the last decade), that has resulted in the makeover of the financial district. Its beauty lends itself to the vibrant and diverse community of people who are now calling it home: young and established professionals, investors, and even students. The World Trade Centre is perhaps emblematic of this change. 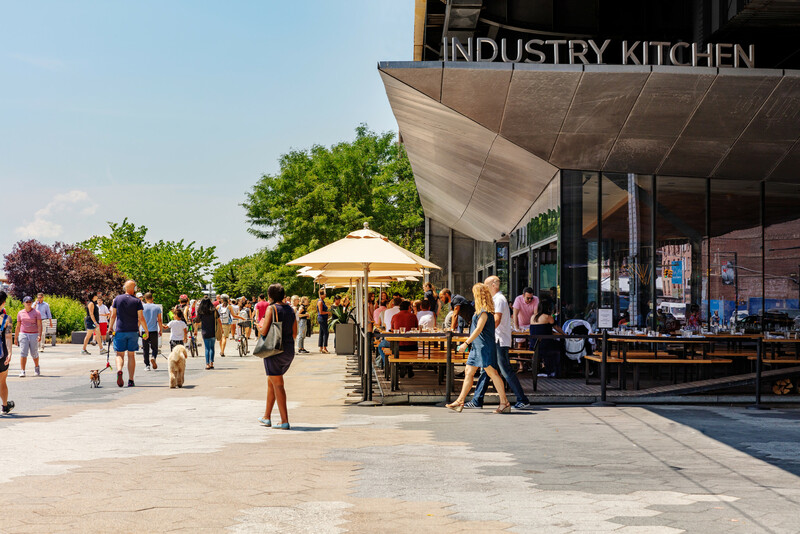 Once home largely to finance, insurance and real estate sector tenants, it is now a hub for New York City’s creative economy. Most advertising, media and information sector tenants now want to be here, such as Conde Nast, Time Inc, Harper Collins and Spotify. What is equally fascinating is how the social fabric of the area has changed. Gone are the days when Lower Manhattan’s residents had little to do when the sun went down. Now the evenings rock the entertainment and social scene. South Street Seaport is enjoying its renaissance with the concert venue at Pier 17 drawing a huge crowd. Nearby cobblestones Fulton Street is dotted with shops and cafés. Danny Meyer’s newest restaurant, Manhatta, on the 60th floor of 28 Liberty, is booming and so are the new and unique hotel brands that are catering to the 13 million annual tourists. 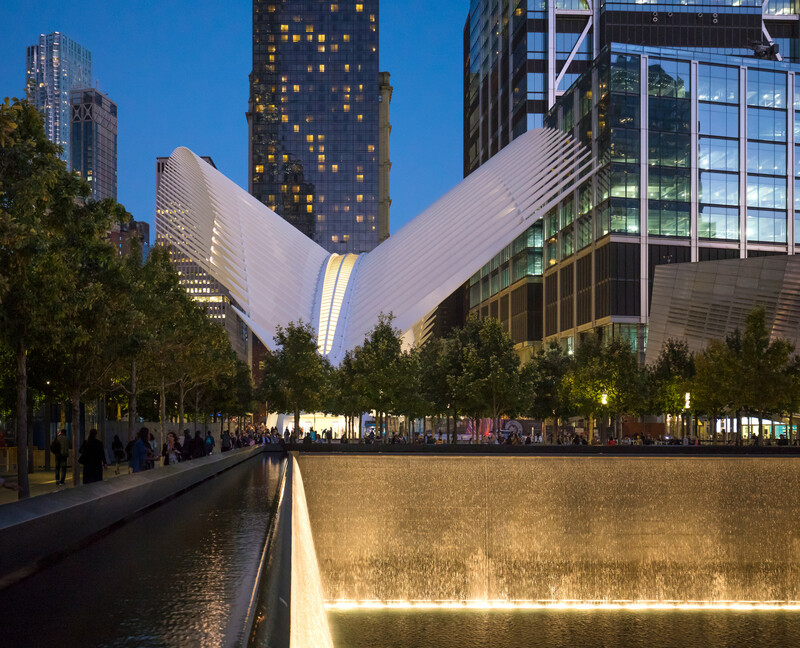 Santiago Calatrava’s winged Oculus that stands guarding the One World Trade Centre now houses the Westfield WTC Mall and the massive transportation system underground that connects commuters from New Jersey and the rest of New York as well. In 2018, the area boasted of 5.5 million square feet of new leasing activity, the highest since 2014. According to the Lower Manhattan Real Estate Year in Review 2018, published by the Alliance for Downtown New York, last year saw 1,330 residential units in six buildings coming on to the market (76 per cent rentals and 24 per cent condo), that could fetch somewhere between US$2000 to $3,000 per square foot. The buildings include The Woolworth Residences at 2 Park Place (Alchemy Properties’ historic conversion has added 34 condos), 20 Broad Street (Metroloft’s conversion of the former home of the NYSE with 533 rental apartments) and 49 Chambers Street (the Chetrit Group’s conversion of the historic Emigrant Savings Bank, that added 99 condo units to the market). The pipeline of residential development for 2019 includes 540 units in seven buildings that includes One Beekman Street, 125 Greenwich Street and 25 Park Row. Residential development is expected to increase in the next couple of years, with the most talked-about conversion being “One Wall Street”, a landmark 50-storey limestone art deco tower on the southeast corner of Broadway and Wall Street that was designed for the Irving Trust Company by “architect of the century” Ralph Walker in 1931. It was built atop what NYC urban historian James Nevius calls “the most expensive real estate in New York”. 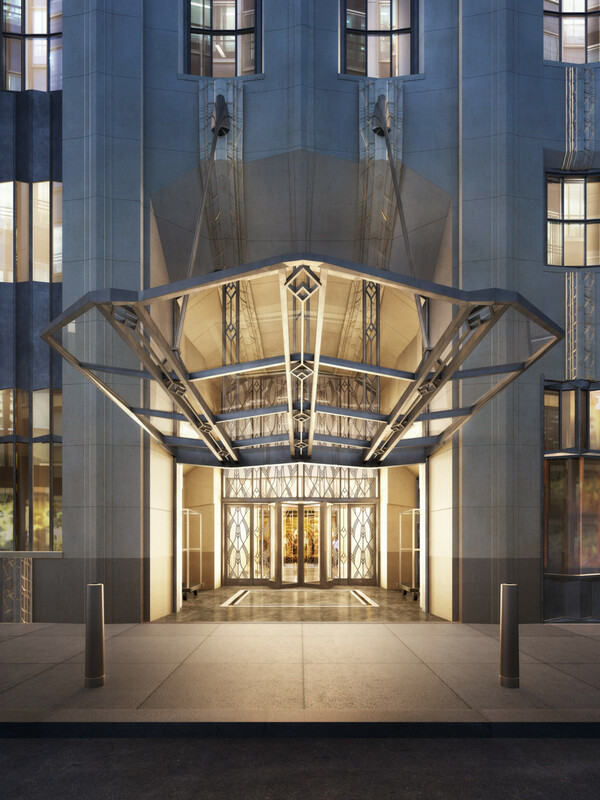 Acquired by Macklowe Properties in 2014, the building is now being transformed into an apartment building in the largest office-to-residential conversion in the history of New York City. 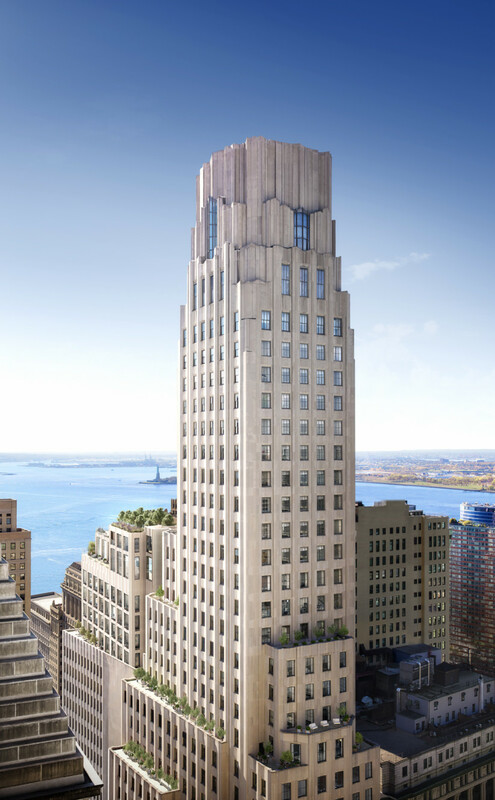 Macklowe Properties is working with SLCE Architects to transform this landmark into a condo building with 566 studio to four-bedroom apartments and a penthouse that offer unobstructed views of New York Harbour and the Statue of Liberty. 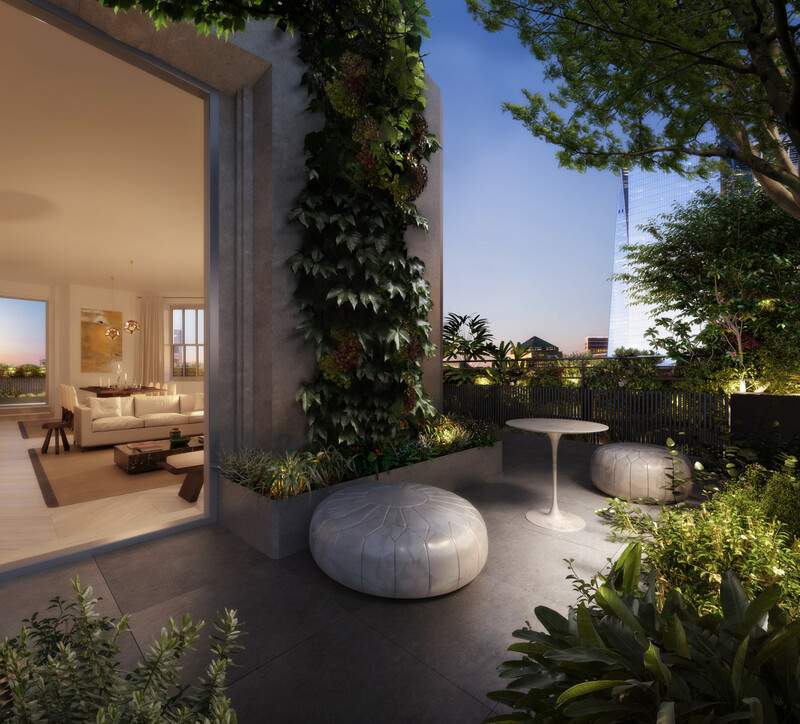 While sales have yet to get underway, prices start from US$960,000 for a studio apartment and construction is expected to wrap up sometime in 2020. The building will have 100,000 square feet of amenities and a Whole Foods at the base. The biggest symbol of change in the Financial District is perhaps the bronze sculpture of the Fearless Girl by Kristen Visbal, who was reinstalled from the Bowling Green to face the New York Stock Exchange last year. As she stands up and stares down, she is more than a symbol of female empowerment. She keeps a watch on all the business going on here, the life and times of a new chapter in New York’s history.